After Hurricane Irma, a Category 5 storm that hit several Caribbean Islands leaving many of them without electricity and water, a 30-year veteran news anchor started a fundraiser to help an island that is deeply rooted in her family’s history. Jennifer Lewis-Hall, an anchor for PHL 17 is leading an effort to raise funds for the people of Anguilla, an island that was affected in September by Hurricane Irma. UNITED NATIONS (AP) — The recovery of eastern Caribbean islands hardest hit by recent hurricanes, including Dominica, Barbuda, Turks and Caicos, the British Virgin Islands and Anguilla, could cost up to $1 billion, a senior U.N. official said Tuesday. "It's going to be a large-scale rebuilding effort that will take time," said Stephen O'Malley, the U.N. resident coordinator for Barbados and the Organization of Eastern Caribbean States, "and it will be important to do that right." NEW YORK (AP) — From parties where the price of admission is a donation, to fundraising drives and online wish lists for collecting needed supplies, West Indian communities around the United States are stepping up to get help for the islands of the Caribbean ravaged by the wind and waters of hurricanes Irma and Maria, including those in places in the southern United States that were hit hard themselves. NEW YORK (AP) — From parties where the price of admission is a donation, to fundraising drives and online wish lists for collecting needed supplies, West Indian communities around the United States are stepping up to get help for the islands of the Caribbean ravaged by the wind and water of Hurricane Irma, including those in places in the southern United States that were hit hard themselves. Before it hit Florida, Hurricane Irma crashed through the Caribbean, causing catastrophic damage. 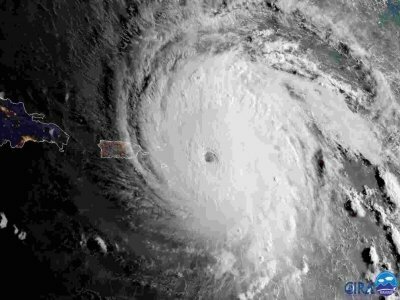 The Category 5 storm, which ravaged the islands with near-record, sustained 185mph winds, battered an estimated 1.2 million people. LONDON (AP) — The U.K. government defended its response to Hurricane Irma on Monday, amid claims it has been slow to help British overseas territories devastated by the storm. The British Virgin Islands, Anguilla and the Turks and Caicos islands were all pummeled by the hurricane last week, leaving thousands without electricity or water and reducing homes to splinters. At least five people died in the British territories. ST. JOHN'S, Antigua (AP) — Strung like beads along the northeast edge of the Caribbean, the Leeward Islands are tiny, remote and beautiful, with azure waters and ocean breezes drawing tourists from around the world. 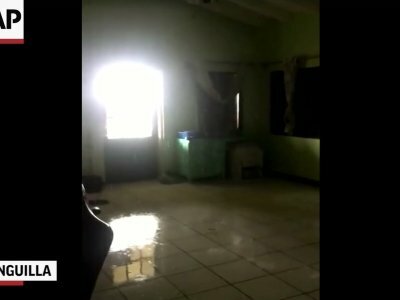 CAIBARIEN, Cuba (AP) — Irma collapsed buildings and battered Cuba with deafening winds and relentless rain Saturday, while a second hurricane, Jose, threatened to lash already-reeling islands elsewhere in the Caribbean. Across a swath of Cuba, utility poles were toppled, trees uprooted and roads blocked. Witnesses said a provincial museum near the eye of the storm was in ruins. And authorities in the city of Santa Clara said 39 buildings collapsed. JACKSON, Miss. (AP) — Tyna McNealy's first visions of a home were far from fairytale land. While living in the tiny Delta town of Anguilla with her mother and younger sister, she remembers a mobile home "with a big hole in the floor. You could see the ground." On cold winter nights, she and her sister, Taunya, would wrap themselves together in a blanket "spoon style" — lying with one's back to the other's front.